After a three week wait my seed potatoes have finally arrived. I've chosen three different varieties to enable me to grow first earlies and two types of second early. You can also get maincrop potatoes which I will be choosing later in the year. This will be the first year I've tried first and second earlies normally I plant whatever, whenever and see how it ends up, this year however I'm going for a bit of a more structured approach. When purchasing Potatoes they will generally be listed in these three categories, often a single variety will be suitable to grow for more than one if not all of them. Potatoes are one of those vegetables that if you intend to be self sufficient the more space you have to dedicate to them the better. This is of course only if you intend to grow large quantities. I would urge even non-gardeners to plant a couple of potatoes in a neglected bed, a large pot on the patio or indeed anywhere they can fit them. the varieties you can get hold of these days differ so much from those available in the supermarkets. Admittedly Maris pipers and King Edwards are great roasted but I would encourage you to try and grow something new, something that is not readily available on the shelves, who knows you may never look back. In particular, this year I think heritage varieties are making a bit of a comeback, why not go for one of these? The first of my chosen three is Homeguard. This is a heritage variety and was the most widely available during the second world war. It is reknowned for it's early lifting ability and consistently high yields. This will be my first early and be planted mid February for harvesting as soon as June. My second choice is Casablanca, this could go as first or second early so I'll be planting it towards the end of March for a mid summer harvest. It's great to cook with and also known for its show qualities. Showing's more of an idea then a plan at the moment but I'm sure they'll be more to come on that later in the year. The third is Kestrel, a pink eyed potato and again one that could cover both if not all three categories. This one also produces high yields, has good taste and is a show bench favourite. This will go in a couple of weeks either side of the Casablanca. With these three I have covered a wide range of culinary uses as well as a staggered growing season. When choosing a Maincrop variety storage is an important factor to consider. The first and second earlies won't store particularly long a couple of weeks at most out of the ground. The best thing to do is leave them in the ground until they are needed. If stored well your the harvest from your maincrop could see you right through the winter. Because of storage successional sowing isn't very common when planting maincrops, the potatoes can all be planted harvested and prepared for storage together. A check of the stored potatoes once a week or so just to see all is in order and one bad potato isn't spoiling the rest is all that is needed from there. As far as I know I haven't eaten any of these three varieties before so there is already much anticipation to see how they grow and more importantly how good they taste. 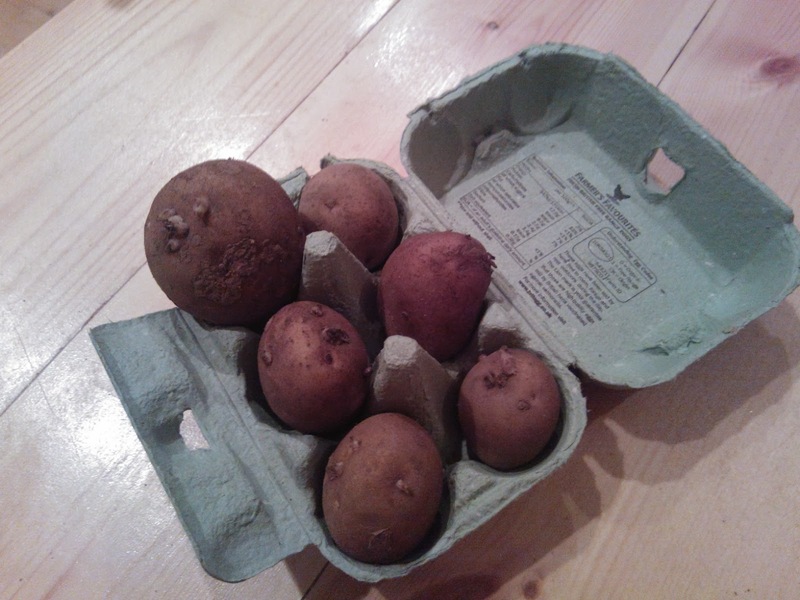 I will be chitting my first earlies over the coming days, I'll post an article on the tips and advice page but briefly it involves leaving the potatoes to produce sprouts before planting.